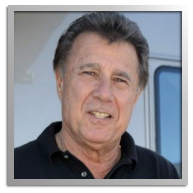 Al Arciero annually races at the SVRA Coronado Speed Festival along with his brother Frank Arciero Jr. The son of legendary race team owner Frank Arciero Sr., he grew up around legends of the sport who raced for his father such as Jim Clark, Dan Gurney, Parnelli Jones, Phil Hill, and Roger Penske as well as Bobby and Al Unser. When Al grew into adulthood he competed, along with his brother, in the SCORE off-road series. He went on to take an even higher profile in race team management. The Arciero family partnered with good friend Cal Wells to form the Arciero-Wells CART Indy car team in 1995 with Al as manager. The team raced in that year’s Indianapolis 500 with Hiro Matsushita at the wheel. The Arcieros fielded cars for another generation of talented drivers including Robby Gordon, Christiano da Matta, Scott Pruett, Max Papis, Jeff Krosnoff and Oriol Servia. Comedian and “car guy” Adam Carolla races with the SVRA at the Coronado Speed Festival. In 2015 he drove a white with blue trim 1968 Datsun 2000 formerly piloted by sports car champion John Morton. A popular TV and Web personality, Carolla produced, wrote and directed the acclaimed 2015 motorsports documentary, “Winning: the Racing Life of Paul Newman.” Carolla races regularly, having competed in high-profile historic and vintage events such as the Monterey Historics and others at Sears Point and Fontana. He has a car collection of about 20 rare and fine vehicles and can be typically seen at the wheel of one of Paul Newman’s old rides. Among his favorites is an Olds Cutlass GT-1 Trans Am re-bodied as a Camaro. 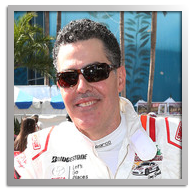 He has competed in the Pro/Celebrity Race affiliated with the Long Beach Grand Prix several times. Carolla won the contest as an amateur in 2012 and returned in 2013 to win as a professional. 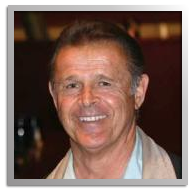 Frank Arciero Jr. annually races at the SVRA Coronado Speed Festival along with his brother Al. The son of legendary race team owner Frank Arciero Sr., he grew up around legends of the sport who raced for his father such as Jim Clark, Dan Gurney, Parnelli Jones, Phil Hill and Roger Penske as well as Bobby and Al Unser. Gurney won the first 24 Hours of Daytona at the wheel of an Arciero-entered Lotus 19. When Frank grew into adulthood he naturally gravitated to driving racecars. His opportunities came primarily in off-road. Partnering with Ivan “Ironman” Stewart, Frank Jr. even picked off a Class 2 win at the 1985 Baja 500. Frank has raced trucks in the SCORE series and son Ryan is still an active driver in Trophy Trucks. Ryan has three Baja 1000 titles. 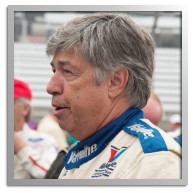 Mike Joy, announcer for Fox Sports NASCAR television coverage, has raced Historic Trans Am at SVRA events at COTA and Coronado Island. Joy’s first TV reporting assignment was the Lime Rock round of the original Trans Am series in 1970. Parnelli Jones won that race and, in combination with his iconic Boss 302 Mustang, was a dominant force in the series. When Joy races Historic Trans Am it is typically in Ken Epsman’s black and gold 1966 “notch back” 305 CID Mustang. Joy has raced SCCA sports cars and won races at such tracks as Lime Rock, Pocono and Watkins Glen. He has also competed in the 24 Hours of Daytona. In addition to NASCAR, Joy has covered other forms of motorsport including Formula One and Indy car. Joy also serves as the Velocity Channel’s analyst for coverage of collector car auctions. He restores MG sports cars at his home in North Carolina.